Whether your real estate investment group owns a few homes or hundreds of homes that are rented out to tenants, Huntahome is a Dallas property management business that offers you scalable solutions. Every real estate investment group can benefit from having a local property management company handle the operations of their residential properties. We understand that as an investment group, managing the numerous areas of your properties can be a daunting task. As the premier property management company in Dallas Fort-Worth, we are prepared to assist you with any of your management needs. Regardless of the size of your investment portfolio (number of rental properties), Huntahome realizes that every property owner needs a plan of action. By working with Huntahome, you will be utilizing our systematic plan for your property that keeps you out of the undesirable aspects and duties of management while also protecting your rental properties. When handling a large scale investment portfolio of rental homes, you are more susceptible to the unpleasantries that can arise from your venture. You need a management partner to oversee the day to day operation and take care of business on your behalf. When you have Huntahome on your side to manage your Dallas property, you can rest assured that we will handle these issues with efficiency and expertise. In the property management world, a real estate investment group that manages deals and property trading knows that it’s a full-time job on their own. Managing the daily operations is a whole other job on its own. rtunities if not set up correctly. You can hit your goals with Huntahome as your property management provider. Our team will maintain the value of your assets and report to you live status updates. We know what it takes to move the inventory and produce results for our investors. Making money on investment properties also relies on collecting rent payments in a timely manner. As investors, putting yourself in a situation where you have invested in a portfolio of rental properties, you now have to worry about the rent, maintenance, and have the pressure to keep your homes occupied. With these issues in mind and new investments surely on your mind, mistakes can be made, resulting in tenant loss. Don’t let the weight of property management prevent you from moving on to the next profitable real estate investment. Huntahome will work with your real estate investment group to help you increase your business, by managing the daily operations of property management. You will be able to focus on the big picture items, while we handle the grunt work and improve tentent retention. As a private equity group, you obviously want to work with one of the top property management companies in Dallas, to help maintain your investment and keep your mind at ease. Aside from the standard plan that we carry out, we also offer several other services that are specifically targeted to you as a client. 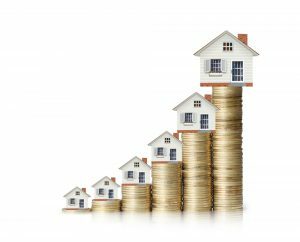 Not only can we take steps to increase property value, but our management services will also drive asset returns. Through our creative approach to property management we will ensure that operating expenses are controlled and you will see positive returns. Due diligence coordination is also a large part of how we can help with your management process. We will help take care of the diligence for you by closely monitoring the properties that you are interested in. 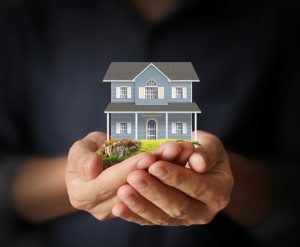 Controlling Your Costs: As property managers, we are dedicated to reducing the costs of managing your real estate assets. This allows us to fulfill our goal of driving real estate returns. Taking Ownership: When you place your trust in Huntahome as property managers, we can guarantee that every property that we manage is treated as if it was owned by us. We offer excellent communication, up-to-date budgeting, effective reporting, and consulting in areas you deem necessary. At Huntahome we pride ourselves on working with a large platform at the local level. By this we mean that our business model has been structured to take on clients and properties of all sizes. We have found that the trick to success at any level is to think like an owner and be up-to-date on the different markets involved with property investment. Don’t be let down by a management company that offers promises with little experience. At Huntahome, we truly understand how to place ourselves in our client’s shoes and make their investment a success. The biggest mistake a rental owner can make is to try to handle every detail of ownership on their own. By allowing Huntahome to take the wheel on the management of your rental portfolio, you are opening the doorway to success via tenant retainment, increased value, and an excellent ROI. If you are an investment group or member of a hedge fund that is eager to keep investing in properties without having to worry about the management responsibilities, give us a call today. Our expert management team is prepared to answer any of your questions about our services and how to get our process started with your properties.